What to pack for a multiple day bike trip across Poland? Cycle Poland is a nine day trip. It's a bit different from cycling round Richmond Park on a Saturday morning, when strapping a spare inner tube to your frame and putting ten quid in your pocket for a sandwich and coffee is enough to get you through. But neither is it an usupported bike expedition across the wilds of Mongolia, where food would be scarce and mechanical support non-existent. Two water bottles. One bottle just isn't enough for a 100 km + trip, especially in the summer. 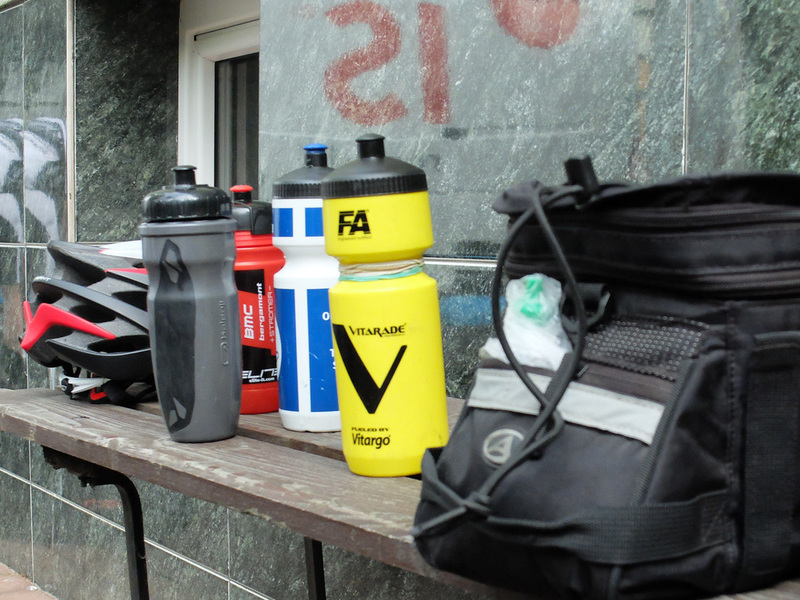 Fill at least one bottle with an electrolyte and carbohydrate drink. 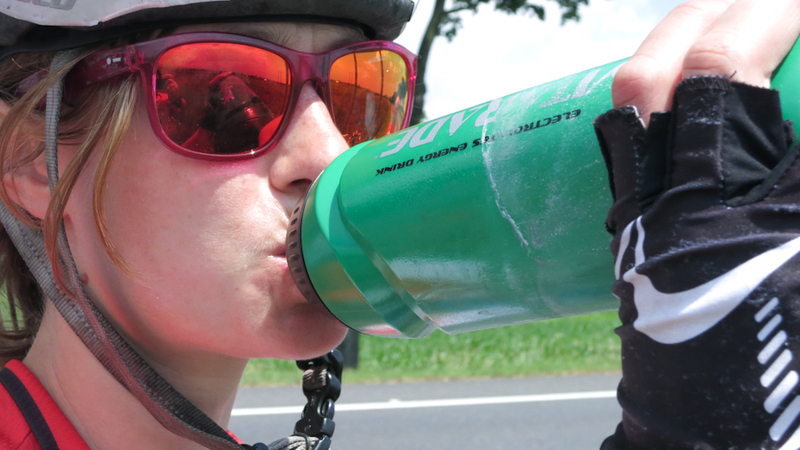 On a long ride it's hard to eat enough to keep up your energy, but easier to sip an energy drink as your ride. During Cycle Poland our support van carries electrolyte powders in various flavours as well as water so you can top up at every stop. It's good to have a range of flavours for when you get sick of watermelon! A camelback is great, but I prefer to not wear a backpack and instead use jersey pockets for stashing food, layers etc. Mobile phone. Calling in Europe is now so cheap it doesn't really make much sense to get a local SIM card unless you will be calling a lot and often. In Poland, buying a SIM card can now be a challenge as you need to register and show your passport, which you may need to do at a larger store. For emergencies a UK phone is just fine, and you'll have access to WiFi most evenings if you want to Skype home. Money / debit card. Poland uses the złoty. As we bike primarily through rural areas, be prepared with cash - when you run into a tiny store to buy their entire annual supply of Snickers bars, they probably won't take VISA. ATMs can be found in most towns and cities. Puncture kit. Tyre levers, spare inner tube & pump / CO2 canisters. Make sure you know how to use it all. Good to practice before you leave home, but the beauty of cycling in a group is that there will always be someone on hand to help if you need. Warm top/jacket if weather forecast dictates. We’ll let you know in the morning what the weather forecast is for the day, but especially in the mountains remember that the weather can and will change. Remember that you will travel over 100 km each day - so look at the forecast for spots along the way, not just your starting or finishing destination. A light windproof shell with a bit of rain resistance is great to tuck into your jersey pockets as it will help keep you warm even if it starts to drizzle. 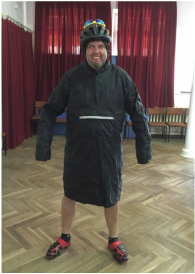 During Cycle Poland we make sure the support van is never too far, so if the heavens open, we'll make a stop with the van so you can grab proper rain gear or warmer clothes. Sunglasses. Photochromic lenses that react to sunlight are great, as they will go clear but continue to protect your eyes from dirt and dust even if the clouds roll in. Short sleeve cycling jerseys. Good to have a couple, so you can wash one and give it time to dry while you wear the other! Padded shorts. Again good to have a couple of pairs. Remember these come in guy and girl versions with different shape padding. Gloves. Make sure your gloves have padding. Over long distances you risk damaging the nerves in your hands from the vibration coming up through the bike if you don't have padding - I've been there! Shoes. Cleats are great if you are used to them, as they make your cycling more efficient, particularly on the uphills. Leg / arm warmers. These can be pulled on and off as the weather changes, and are small enough to stash in your jersey pockets. Garmin. These small bike navigation devices are awesome. We will provide you with a .gpx file of each day's route before the trip so that you can upload these to your Garmin and get you turn by turn instructions, route overviews etc. If you don't have a Garmin, don't worry - we'll make sure someone stops at junctions to direct you or buddy you up with someone with a Garmin. Any personal medicines (asthma inhalers, insulin). During Cycle Poland a tour leader will carry a basic emergency medical kit, and the van will have additional medical supplies. 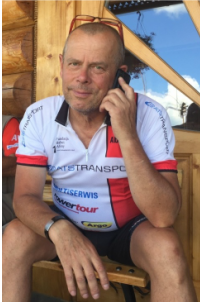 Remember that Cycle Poland is a van supported trip led by experienced guides. If you are using this list to plan your own trip, and especially if you don't have the luxury of a support van, you will need to add to the list above. For example you should make sure you carry a full medical kit, including painkillers, ice packs, bandages, plasters, eye drops, gauze, disinfectant etc. You'll also need to do more of the admin, for example checking the weather forecast each morning. Join us for Cycle Poland 2018! 800 km in 7 days, Summer 2018. Water bottles are essential. Make sure you rehydrate during the ride. Punctures happen! Bring spare inner tubes, tyre levers and a pump - and learn how to use them! 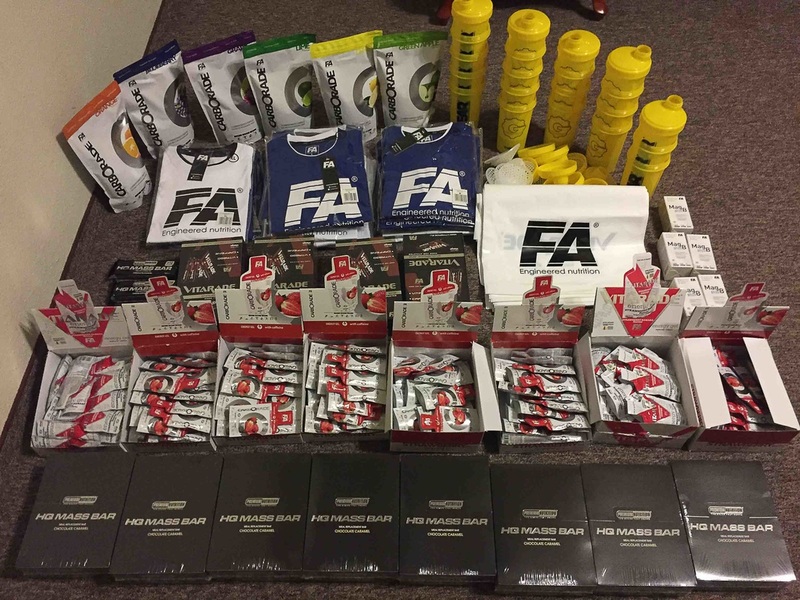 For Cycle Poland we stock up the van with isotonic drinks, energy bars and gels thanks to our generous sponsors at FA Engineered Nutrition. 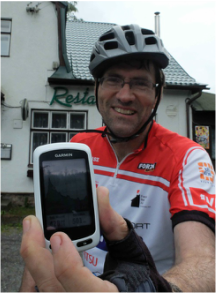 Janusz shows off his Garmin with the day's elevation profile. These small navigation devices are great for long rides. A cell phone is handy for emergencies.